Lie-Nielsen Hand Tool Event Feb. 27-28 - Goosebay Sawmill and Lumber, Inc.
We are exciting to announce that Lie-Neilsen will be here at Goosebay Sawmill and Lumber on Feb.27-28th. 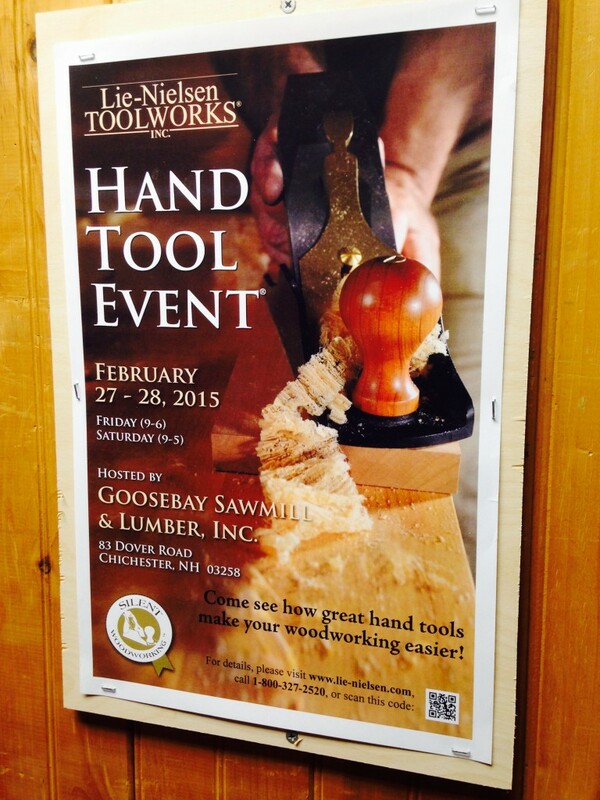 They will be demonstrating all of their hand tools for any one who wants to attend. There is no charge for admission. Lie-Neilsen’s traveling events give you the chance to try their full line of tools and learn techniques directly from their staff. These events are unique in the philosophy behind them and the experiences at each one. Their focus is to promote woodworking education, hands-on skill building, and a spirit of collaboration. Lie-Neilsen makes over 100 types of planes, saws, spokeshaves, chisels, floats and more. They have improved and refined designs, and use better materials like Ductile Iron and Manganese Bronze for castings and cryogenically treated A-2 Tool Steel for the blades. Their plane blades are much thicker than those of any other production planes. Please join us in February to see what makes these tools so great.